HOUSE = 4 X bedroom, 2 x Bathroom. Laundry, Kitchen, Lounge room, Car Space. Sharemates are all friendly International working holiday or students, between the ages of 20 and 30. - Electricity & Water & Unlimited WIFI are included in the rent. - There is currently 2 Beds, Study Desk,Wardrobe in the Bedroom. -1 car space OFF street parking. 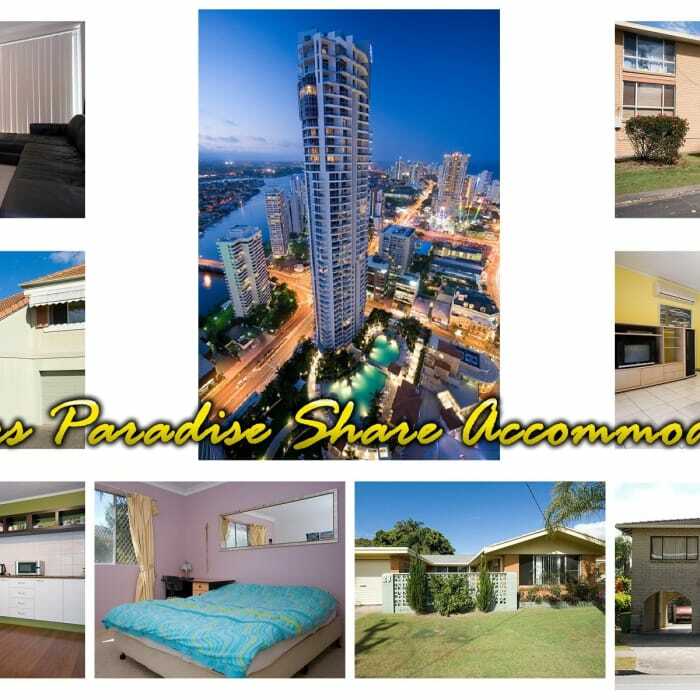 -Only 20 minutes walk to everything in Surfers Paradise CBD and beaches. -Only 10 minutes walk to SURFERS PARADISE G-LINK TRAM STATION.